Bouldering in Stoney Point, Los Angeles. Testing Virtual Reality and camera setups. LED BY A TEAM OF WORLD-CLASS ATHLETES AND FILMMAKERS, INCLUDING A WORLD CHAMPION ROCK CLIMBER, THE COMPANY IS UNIQUELY ABLE TO CAPTURE FOOTAGE OTHER TEAMS SIMPLY CAN’T. 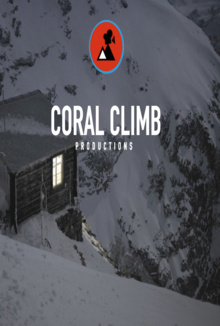 THE CORAL CLIMB PRODUCES DOCUMENTARIES, COMMERCIALS AND WEB CONTENT FROM CONCEPT TO POST-PRODUCTION. THE COMPANY ALSO OFFERS ITS FILMMAKING SERVICES ON A CONTRACT BASIS TO STUDIOS, BUSINESSES, AND ADVERTISING FIRMS THAT LACK THE SKILLS NECESSARY TO CAPTURE STRIKING SPORT FOOTAGE OR REACH LOCATIONS ACCESSIBLE ONLY THROUGH CHALLENGING CLIMBS. IN ADDITION, IT RETAINS A SELECTION OF STOCK VIDEO THAT CAN BE LICENSED OUT.